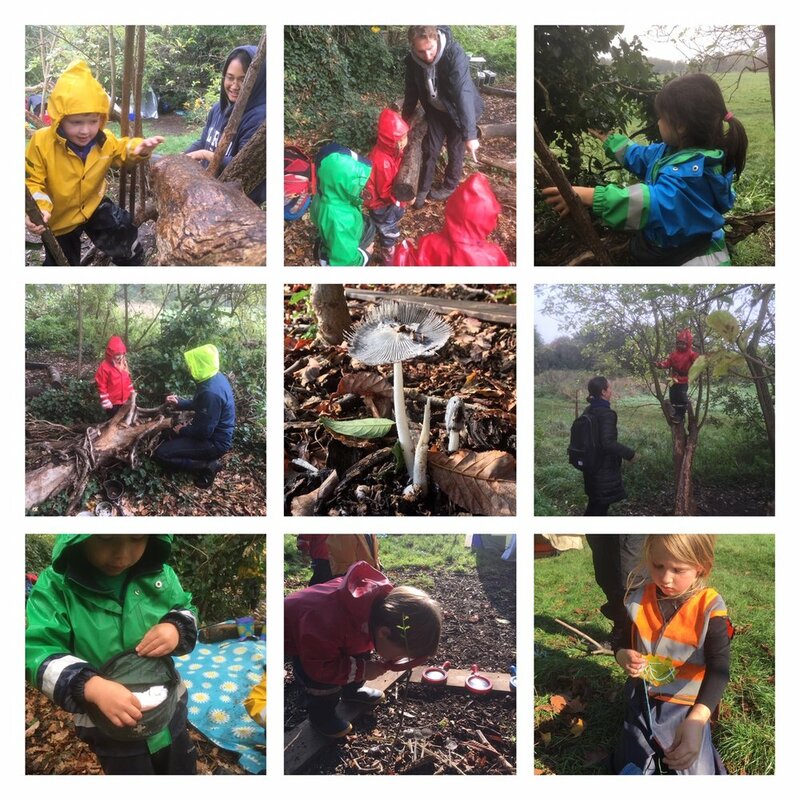 This week at Barnes we had our Stay and Play week which is such a lovely opportunity for parents to join their children for some forest fun! We all spent our mornings; playing, reading, climbing, building, singing and even dancing around. We could see the smiles on the faces of parents as they enjoyed their time immersed in nature too. We loved seeing the cooperative play this week as the children developed their own stories to act out. At one point, we had a huge family of ‘wiggles’ who went off on a bog adventure to try and save their friend who had been taken by a ‘scratcher’. The role-play was inspired by one of our stories and the children organised amongst themselves which roles they would play. Two children became the scratchers and seven children were wiggles. It was wonderful to see a chasing game played with lots of imagination and creativity. This week our Little Forest Folk-ers have become masters of project development. They have taken their hedgehog project to the next level. We have been continuing our hedgehog house building project, with the children reflecting on previous attempts they decided that they were just not good enough. Morwenna went out and found resources the children thought would work best and they started to build their newly imagined houses. Following the very popular hedgehog theme, our Little Forest Folk-ers enjoyed making hedgehog fruit sculptures during cookery class this week! They chopped the fruit and skewered it all together to try and make a hedgehog shaped masterpiece! They all showed great dexterity and brilliant listening skills as they used knives to slice the fruit into the correct sizes. Wishing all of our sessional children a wonderful half-term break, we’ll see you all for more adventures very soon!